The Office of International Students and Scholars (OISS) is here to welcome you. We provide immigration advising and support and coordinate programs to bring our international, campus and local communities together. OISS will help you discover opportunities at UNH to immerse in American culture and share your own traditions with others from the U.S. and from around the globe. Visit the links on this website to learn about in-depth orientation programs and resources on topics including adjusting to living in another culture, adapting to the U.S. educational system, visiting area attractions and much more. At the OISS, our goal is to help you achieve your academic goals — to learn, grow and have fun while doing so. Interested in Studying at UNH? Learn how you can apply as an International student. Interested in studying at UNH as an International Exchange Student? Learn how to apply here. Welcome, new Wildcat! Use these resources to prepare for your arrival at UNH. Learn about your rights and responsibilities, employment opportunities, and other resources as an F-1 student at UNH. Learn about your rights and responsibilities, employment opportunities, and other resources as a J-1 student at UNH. Stay connected with our online service portal by logging in with your UNH credentials. 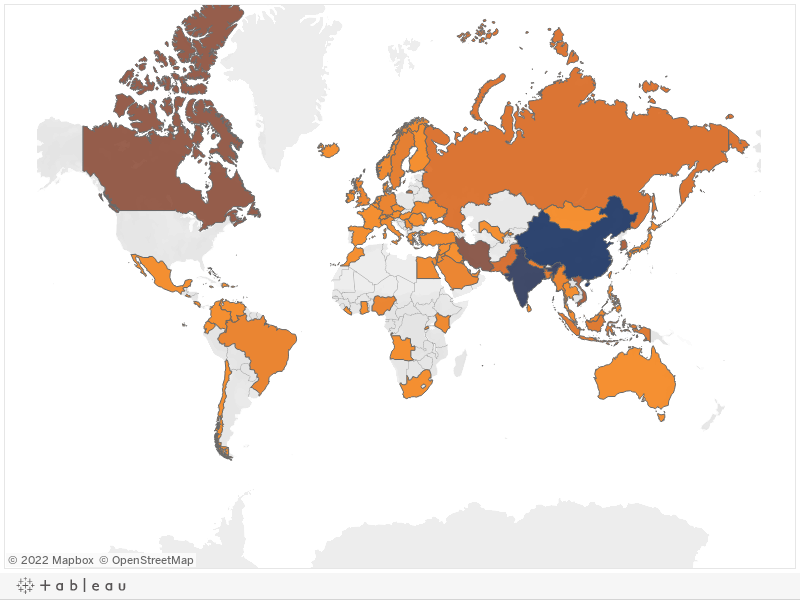 Hover over the map to find out how many international students are from a particular country.